There are plenty of well-known destinations in Romania, such as the Bran Castle or the massive Parliament Palace, but the country is home to many other beautiful places most tourists don’t know about. 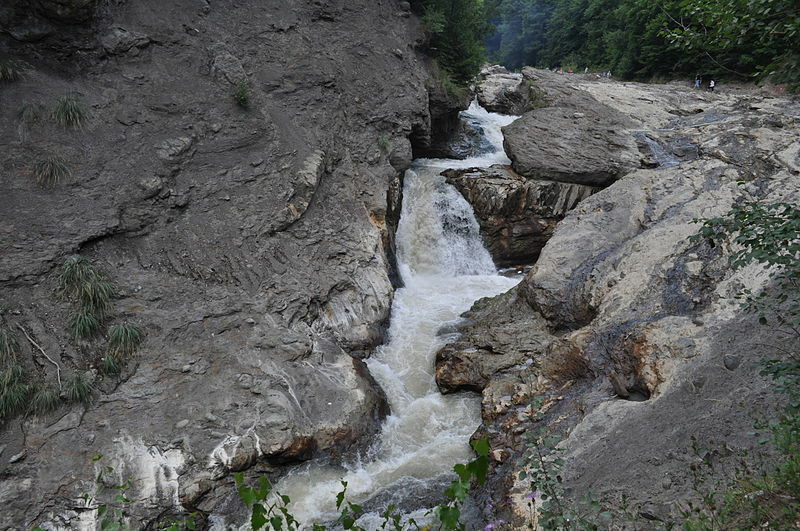 This waterfall in Vrancea county, in the historical region of Moldavia, is a protected area of national interest. It is part of the Putna-Vrancea Natural Park, and was declared a monument of nature in 1973, when the first facilities for visitors were also set up. It is about 80 meters long and the water gathers in a lake with a depth of about 12 meters. It’s not the height that impresses the waterfall’s visitors but the power, speed and large stream of the water flowing into the collecting lake. The Putna Waterfall is located between the Tulnici and Lepșa villages of the Tulnici commune, in Vrancea county. To get there, follow the DN2D national road that links Focșani to Târgu Secuiesc. Râpa Roșie (which would translate as the red ravine) is a unique natural reserve in Romania, which some call the “Little Canyon of Romania”. 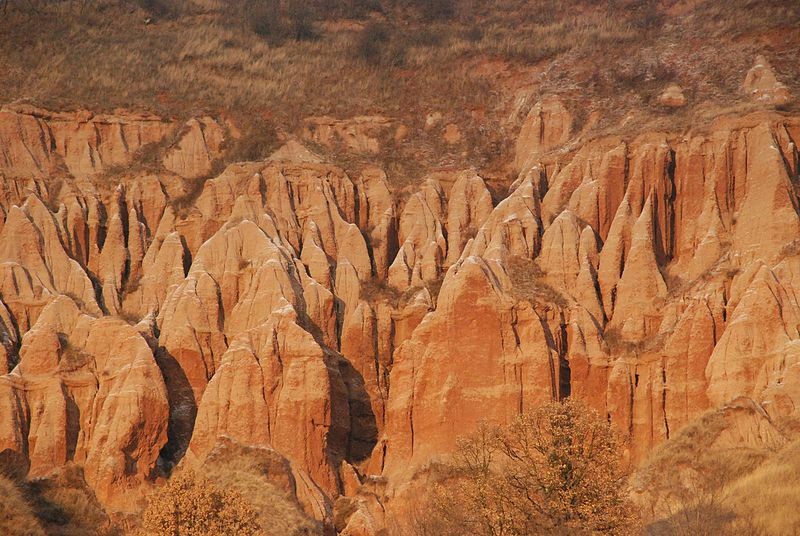 It is a natural, geological reserve formed in red clay, being more than 60 million years old, according to local publication Adevarul. Fossils of dinosaurs have been discovered in this area. The Râpa Roșie reserve measures approximately 10 hectares in size, and the erosion and runoff has given it a prominent, sharp rocky appearance in the mountainside. Its height measures between 50 and 125 meters, its huge, almost vertical wall giving the impression of a ruined ancestral monument. Although not a very well promoted tourist attraction in Romania, the place, which is located in Alba county, offers amazing views to visitors. To get there, take the DJ106K county road from Sebeș, the closest city to the tourist site, for about 14 km. 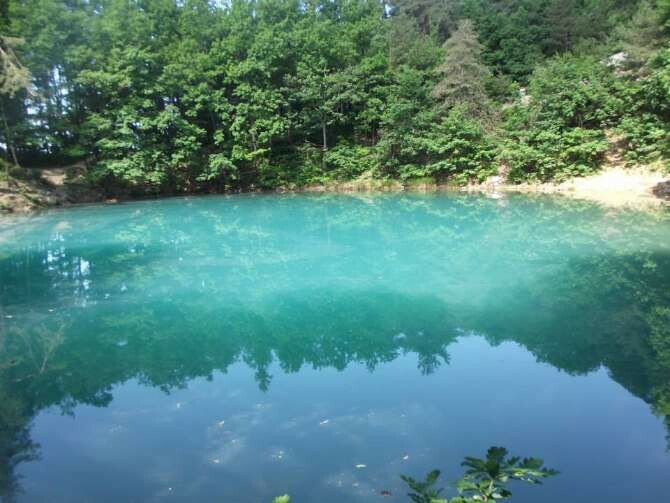 Lacul Albastru (the Blue Lake) in Maramureș county, in Northern Romania, is definitely a place to visit. Its name comes from its green-blue color that offers visitors a picturesque landscape – and lots of photo opportunities. However, the lake changes its color depending on the light or the water temperature, making it a unique place. The lake covers an area of 0.5 hectares and has a depth of 4 meters. It was formed after the collapse of a mining gallery. Tourists can reach the Blue Lake by foot, through the woods, in less than an hour. To access this area, start from the center of Baia Sprie, follow the road behind the Catholic Church until you reach the forest and then follow the path to the lake. 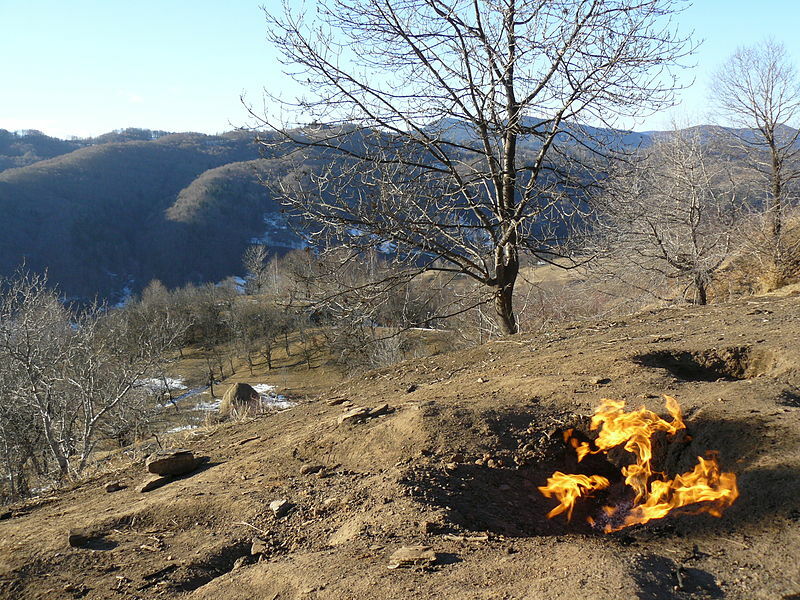 This rare and spectacular natural phenomenon can be seen near the village of Terca, in Lopătari commune, in Buzău county, at an altitude of about 1,000 m. These fires can be as high as 20 cm, but can also go higher than that depending on the weather conditions and the gas pressure, and represent a natural phenomenon unique in Europe. They are flames burning in places where the soil is cracked and kept alive because of the gas that comes to surface. The road from Buzău to the Living Fire takes about two hours, the distance being of some 69 km if you take the DJ203K county road. The Şona village in Brașov county, in central Romania, is home to eight mounds, some of them nearly 30 meters high, known as the Pyramids of Şona. They are arranged on two rows, by size. Locals call them guruieti and some of them believe they were raised by giants. The legend says that, many years ago, this land was ruled by a princess named Şona. One day her kingdom was attacked by some giants who came over the Fagaraș Mountains. The giants passed through the Olt river, and when they arrived in this place they shook the mud from their feet and created these mounds. Another legend says that they date back from Dacian times and that treasures were buried inside them. Some historians believe that they are graves of Celtic barbarians. However, nobody really managed to unravel the pyramids’ mystery. The village of Şona is located at some 7 km from Fagaraș, in Brașov county. This fairytale-like castle is located in Arcalia, one of the oldest settlements in Bistriţa-Năsăud county. 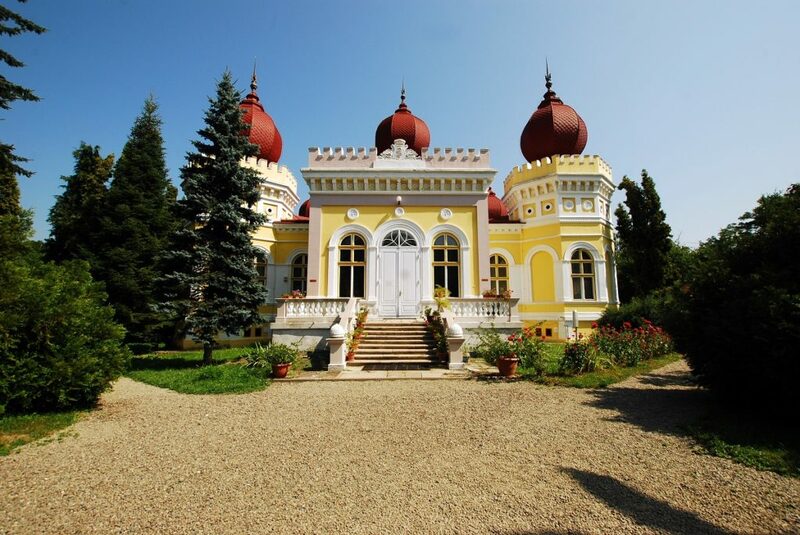 It was built around 1850, by the order of the Bethlen family, in the Moorish-Byzantine style. It is the only castle of this kind in Transylvania. The domain was abandoned at some point and used for various purposes, especially after 1949 when it was nationalized, being turned into a village shop, an agricultural machinery station, then into a camp for pioneers. In 1963, the Arcalia domain was taken over by the Babeș-Bolyai University in Cluj-Napoca. In October 1998, by order of the minister of national education, the Regional Centre of the Francophonie was established in Arcalia, under the aegis of the Babeș-Bolyai University, according to information on the university’s website. Nowadays, the total surface of the property covers 16.5 hectares and consists of a dendrological park and three building complexes. To get to Arcalia, take the DN1C/E576 route from Cluj-Napoca. Also, visitors can take the train from Cluj-Napoca to Arcalia. 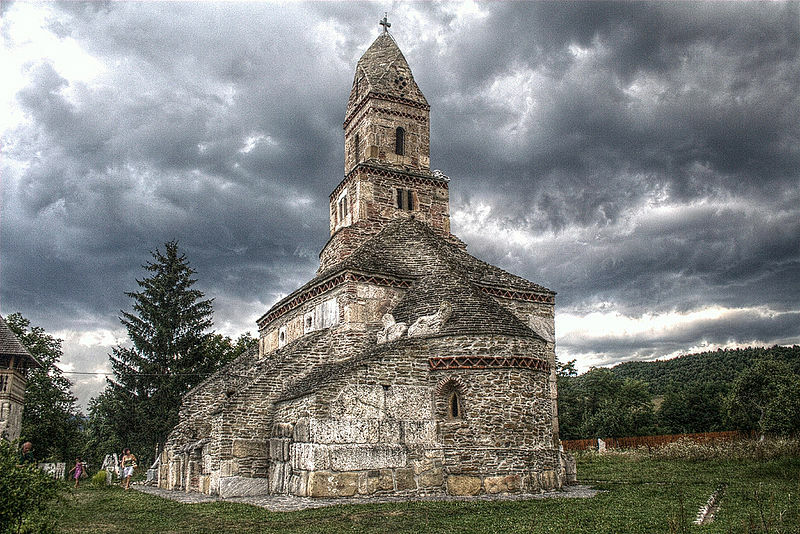 Densuș, a small village in Hunedoara county, hosts one of the oldest Romanian churches still standing. This is the Saint Nicholas Church (Biserica Sfantul Nicolae), which still hosts religious services. The church is made of stone and marble, but there are also columns and statues collected from the former Roman colony Ulpia Traiana Sarmizegetusa, located 10 km south of Densuș. The church has raised many hypotheses and controversies over time, mainly related to its age. Some say that the church was a mausoleum of Roman general Longinus Maximus, while others believe it was a Roman temple dedicated to the Roman god Mars. The most widespread opinion is that the church was once a Christianized Roman temple, which means that it was a Paleo-Christian church from the 4th to 6th centuries, and also the first church on Dacian territory, according to Crestinortodox.ro. The closest town is Hațeg, located at some 15 km from Densuș. To get there from Hațeg, take the DN68 national road and then turn right onto DJ687G county road.